Brick Paver Design, installation and repair in Arlington Heights IL. Create the brick paver patio, pool deck, driveway or walkway of your dreams! Take Your Curb Appeal & Hardscape to the Next Level! A-1 Contractors Inc. has been serving the brick paver design and installation needs of Arlington Heights Illinois residents since 1989. We are Authorized Unilock Contractors with an A+ rating with the BBB. For a FREE QUOTE on any brick paver project large or small call us today at: 847-520-1898. Brick Paver Driveway Installation Arlington Heights IL. Looking for a durable and long lasting material for your new driveway? At A-1 Contractors we will work with you to choose the perfect style, design, color, or pattern for your new brick paver driveway. Our services are available throughout the Arlington Heights and surrounding Chicagoland area. Patios, pool decks, walkways, steps, retaining walls, and more. If you can dream it, we can make it a reality. Contact us today to get started! Why Brick Pavers – Benefits of installing Brick Pavers to your property. We Can Do It All. Get In Touch For a Free Consultation on Brick Pavers for any great hardscape projects in Arlington Heights Illinois! Our years of experience and reputation. A-1 Contractors business philosophy is simple, customer satisfaction through the best-built hardscape project. This philosophy is what separates us from the competition. 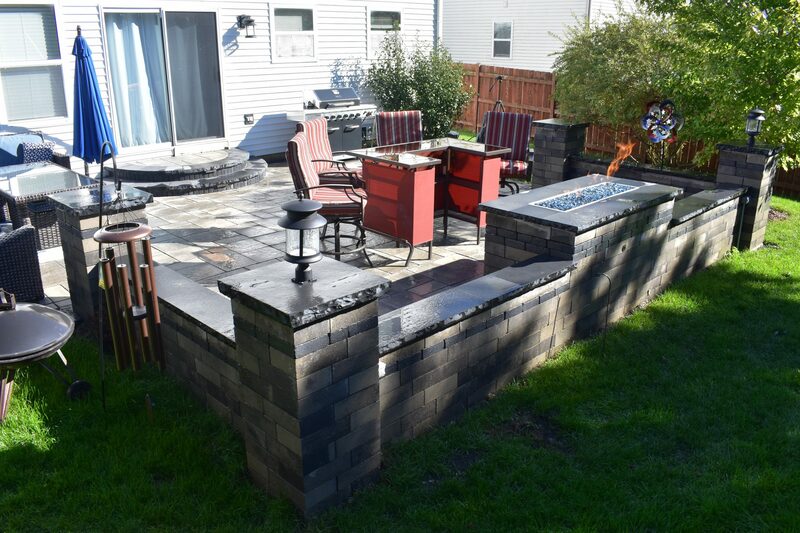 A-1 Contractors, Inc. is a leader in the hardscape industry and has grown over the last 21 years to become the North Shores’ premier installer of brick pavers, natural stone, and concrete in the commercial and residential market. Our accomplishments have made us known as the most thorough and reliable hardscape contractor in the area. Our supervisory employees have an average of 8 to 10 years experience. All our employees are well trained, diligent, and motivated. Craftsmanship, a strict compliance to manufactures installation specifications, and attention to detail are core principles to our employees. They recognize that every project is a reflection of their abilities and A-1’s image in the industry.